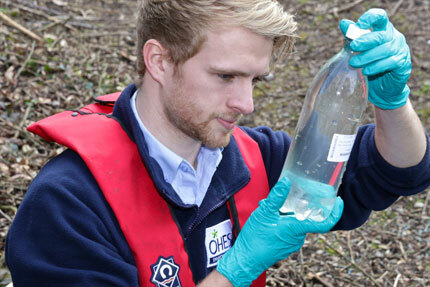 OHES has a very successful track record of conducting a wide range of water quality monitoring programmes and investigations across the UK. Through our AquaTic product we offer bespoke monitoring packages including monitoring programmes, design, sampling, analysis and comprehensive reporting services. Examples include effluent and environmental permit compliance monitoring as well as the monitoring of rivers and lakes for diffuse and point source pollution and performing high-level, catchment-wide nutrients investigations. In addition, our expertise is sought in sampling the safety of bathing waters and attending pollution incidents where water quality, wildlife or human health may be affected by contaminants.